Here are our top reasons why you should choose a holiday with Votre Vacances both you and your little ones will enjoy. 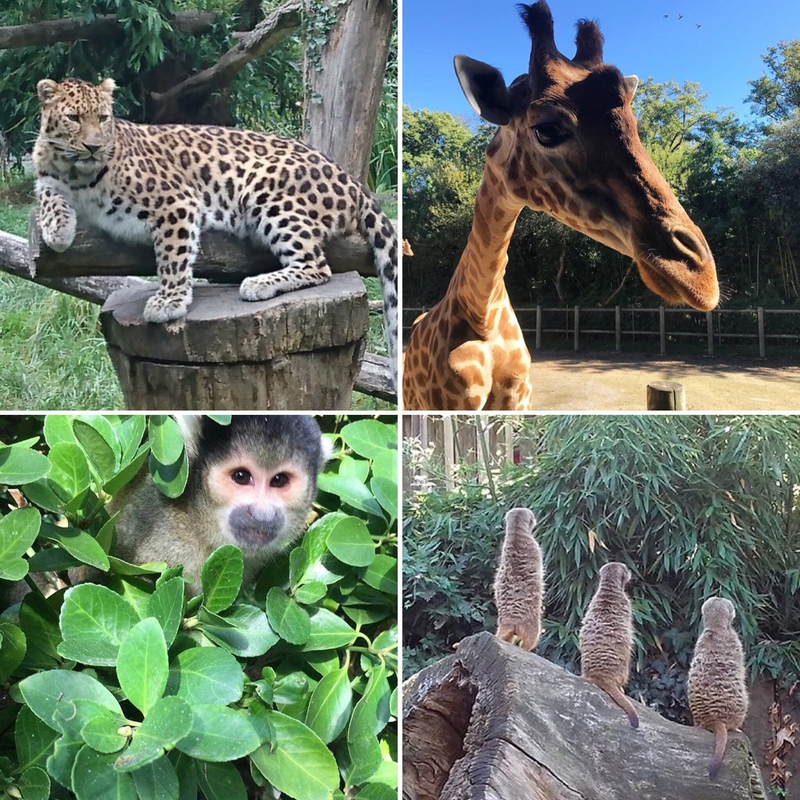 For years France has been a world leader in zoo conservation, and the zoo at Les Sables d’Olonne is no different, and well worth a trip, especially if you have little ones. With plenty of shade and picnic spots, not to mention a plethora of animals including jaguars, monkeys and lions, it’s a fab family day out. New to the Vendee, this place is perfect for budding archaeologists and dinosaur lovers. 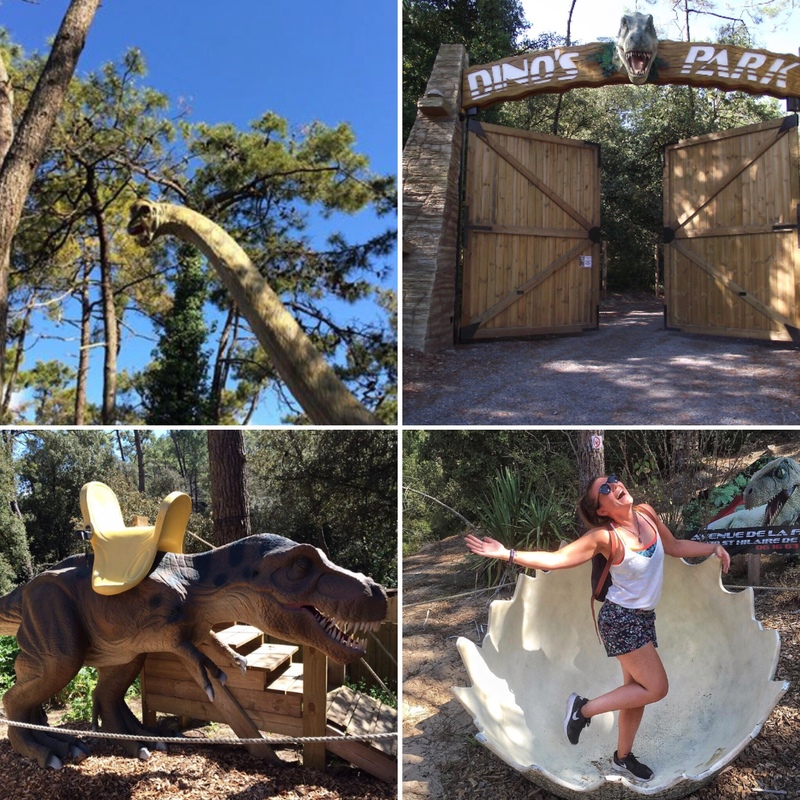 Featuring animatronic dinosaurs in the pine forest of Saint Hilaire, along with a pretty impressive crazy golf set up, drive home along the Corniche coastal road and grab a bite to eat. Because a list about attractions in France wouldn’t be complete without a Chateau (or two, look out for tomorrow! 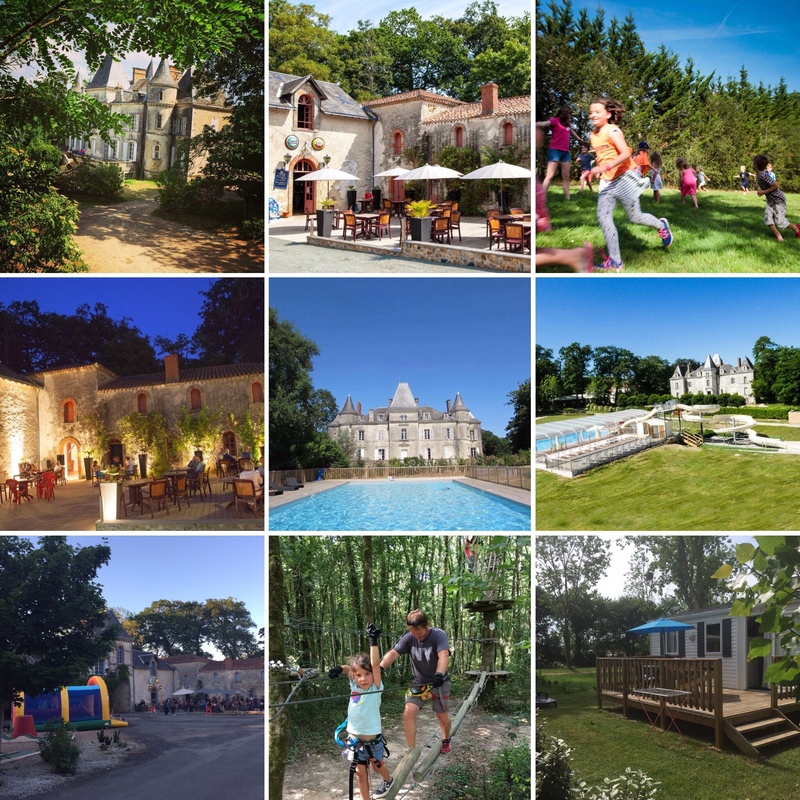 ), and Chateau des Aventuriers provides the perfect backdrop for playing its interactive games. 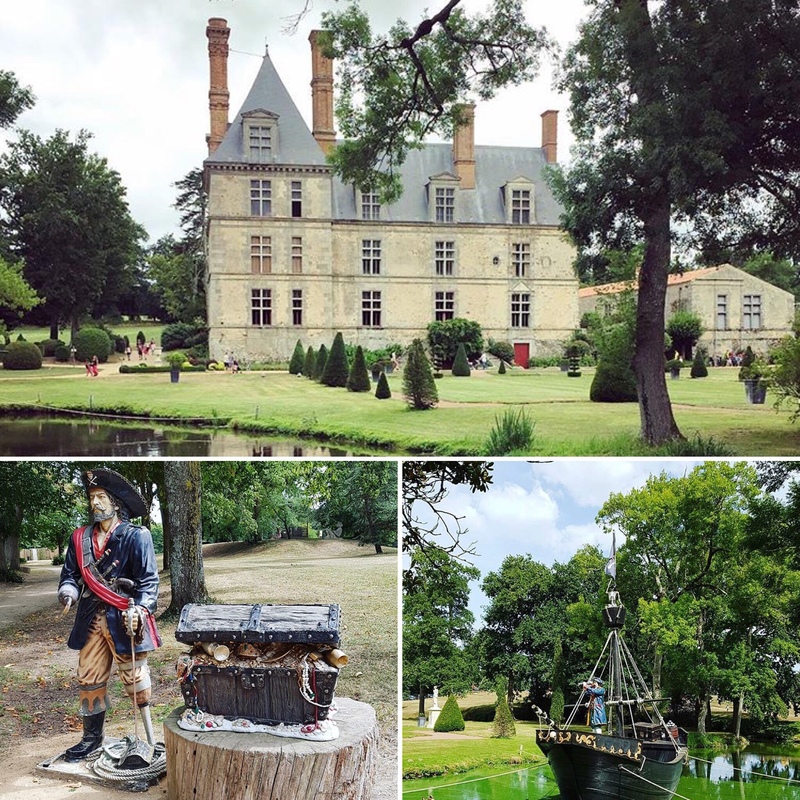 Including solving a centuries old mystery that surrounds the Chateau, uncovering the pirates treasure and exploring the dinosaurs trail…..
Chateau des Aventuriers is my go to for days that aren’t too hot. That’s right, a whole village that’s perfect for little ones! The lakeside beach with pedalos, canoes and play area is fab for little ones who enjoy to paddle without the waves of the Atlantic. 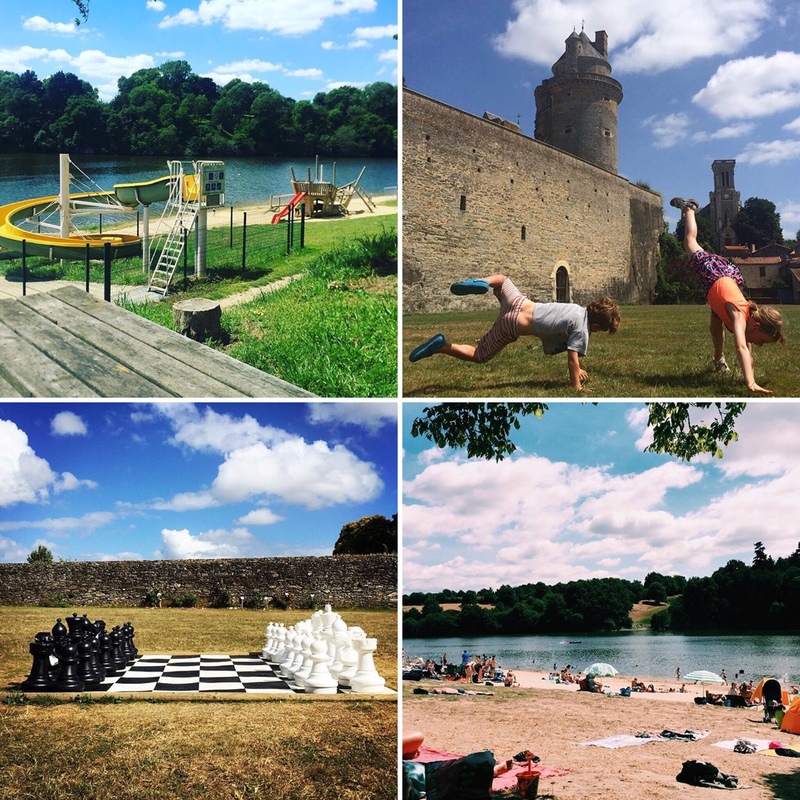 Dominating the skyline of the pretty village is the Chateau of Apremont, modelled on the Royal Chateau of Amboise in the Loire, the unfinished Apremont is a reminder of what could have been- and has plenty of outdoor space to play (totally insta worthy!). Walk along the river and enjoy a picnic or enjoy a meal in one of the beautiful cafes. 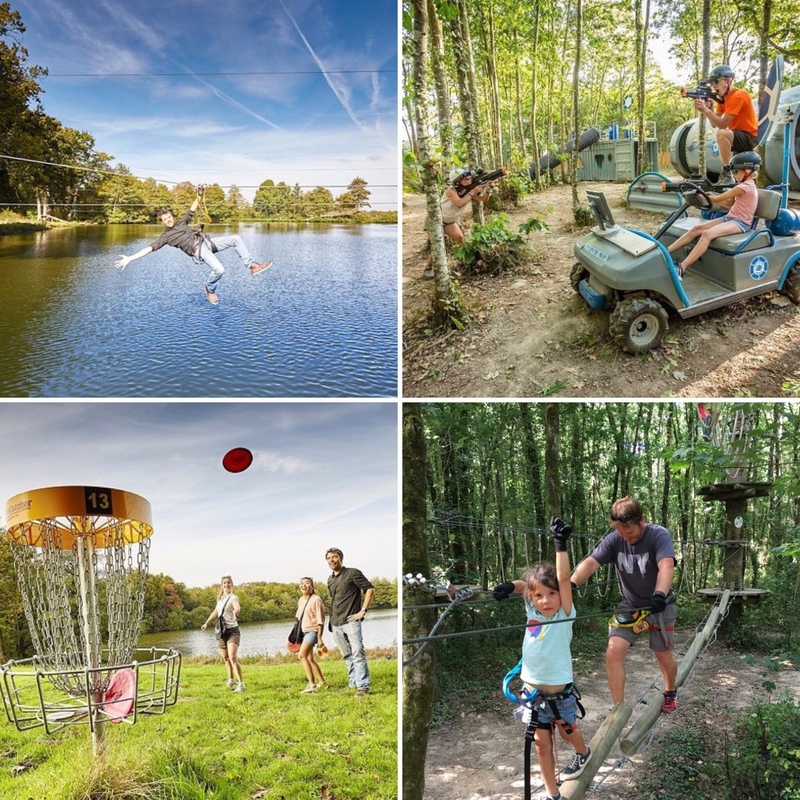 Situated in the forest of Chateau la Foret is one of France’s largest outdoor activity centres with zip wire assault courses, paint balling, laser tag and pony treks- with special zip wires designed for children from the age of 2; there’s no excuse not to swing through the trees, not to mention the sense of pride and achievement little ones feel after completing a course it truly magical!! 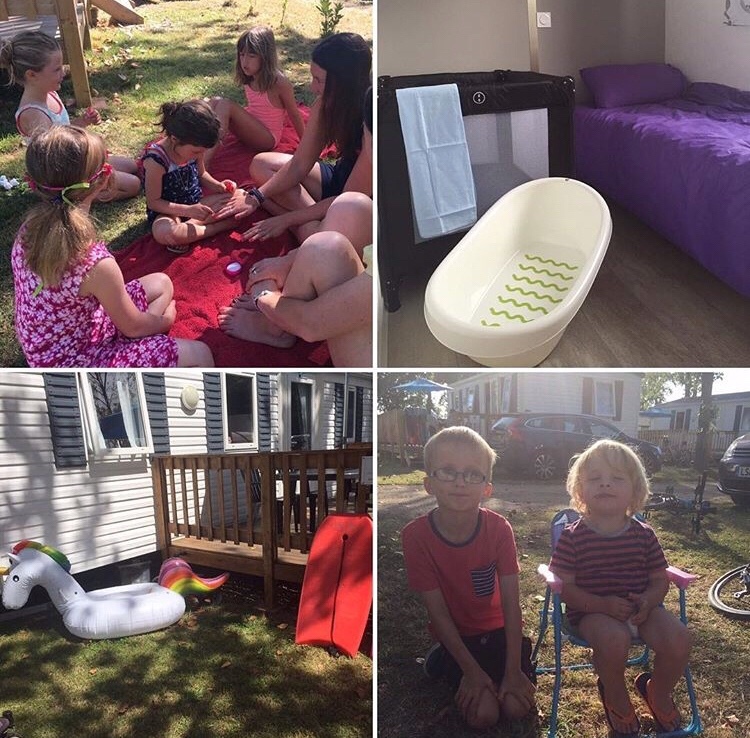 With 2 and 3 bedroom summer chalets, our accommodation is ideal for families with little ones. Our large sunny emplacements situated in the old orchard make perfect outdoor play areas. All our decks are fitted with gates, ensuring your little ones are safe when playing out. With baby packs available, you won’t have to worry about packing all the paraphernalia that comes with travelling with young ones. Not to mention our family games box that includes all the classics including Jenga, Connect4 and deck of cards; so there’s no excuse not to enjoy some family time.